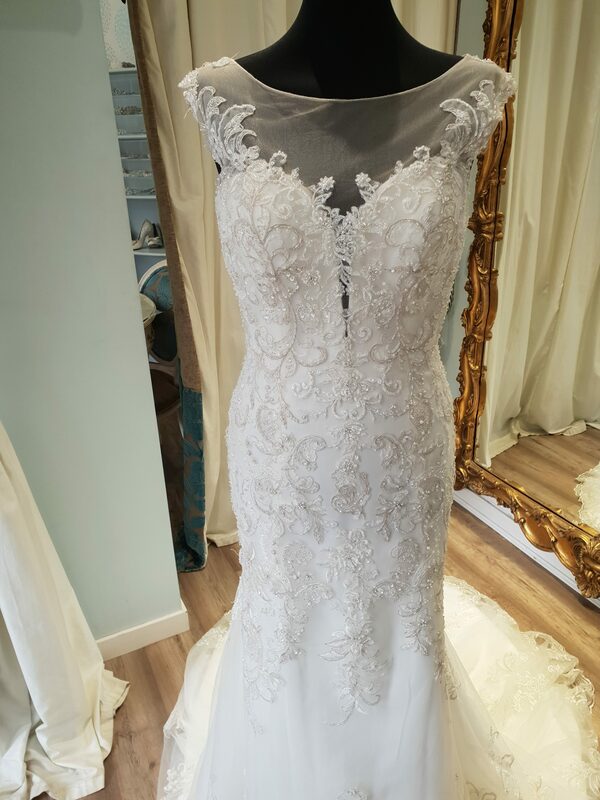 Fit and flare gown with a sweetheart bodice and bateau neckline. 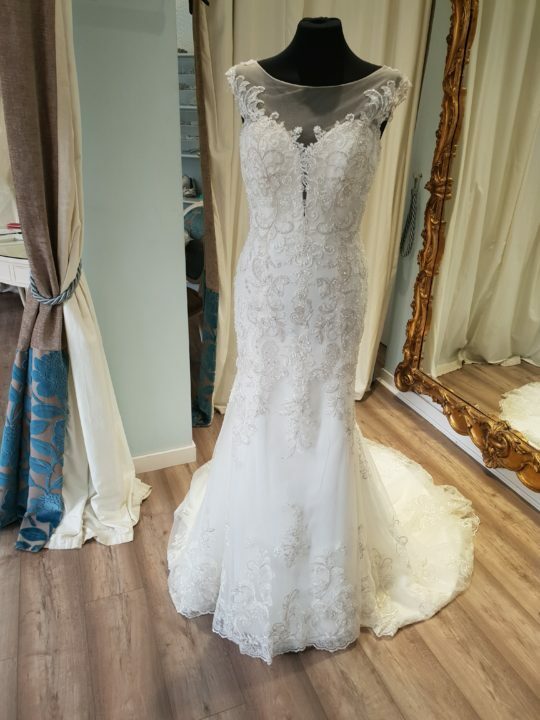 Metallic embroidered venise lace applique over organza. 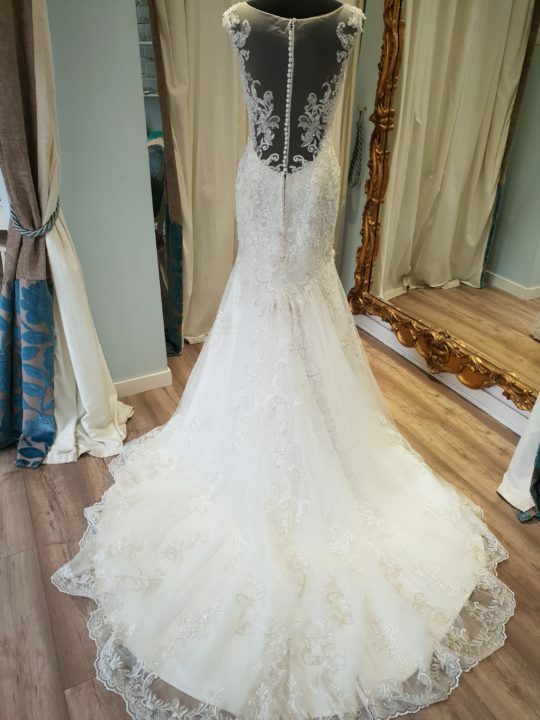 David Tutera 216235 has been successfully added to your shopping bag.